Yes he genuinely broke his finger! Or he might have damaged his wrist, one or the other. I know because in the show the following week, he had to perform the entire show wearing a cast or bandage on his hand and wrist. I love the way that when the medics and production assistants are rushing around, one comes on with another balsa-wood stool, ready to do the stunt anyway. The show must go on Although it meant Rocky went through the window instead of Russell. i wish we had shows like this in the US. That was fabulous! I still cannot figure out how he hurt his hand but as you say the show must go on. I know a well known stunt man who is now retired in California. He said that when his nose was bleeding that they gave him a kleenex and told him not to bleed on the wardrobe! Yeah ridiculous sometimes how the show must go on! Really loved the vid again. It was very special. Soon!!! 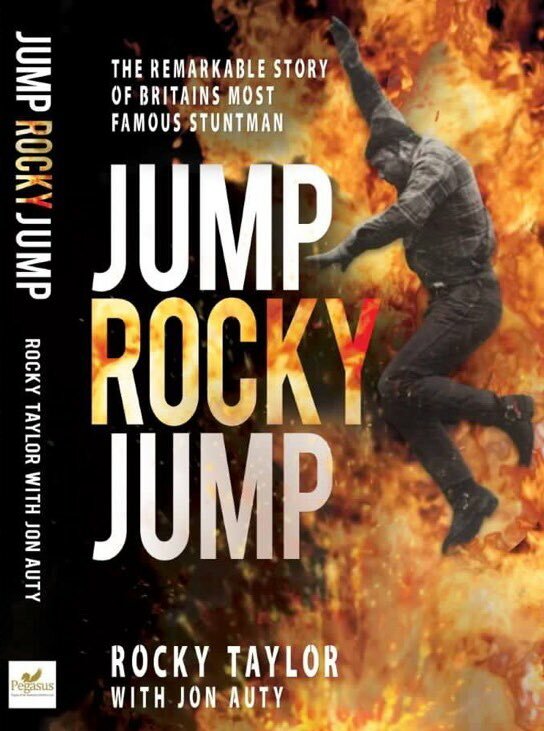 Book "Jump Rocky Jump". Autobiography of Rocky. Planned release date: 18 April 2019. He’s appearing on Good Morning Britain this Wednesday.